Grassroots funding at its finest, Oxfordshire SOUP is a live crowdfunding meets Dragons Den for small businesses. With a reduction in government funding and grants available for small businesses, Oxfordshire Soup aims to fill a gap which enables communities to disrupt the status quo and raise small scale investment for new businesses or ideas they collectively vote for.. The elegance of Oxfordshire SOUP is in its simplicity. 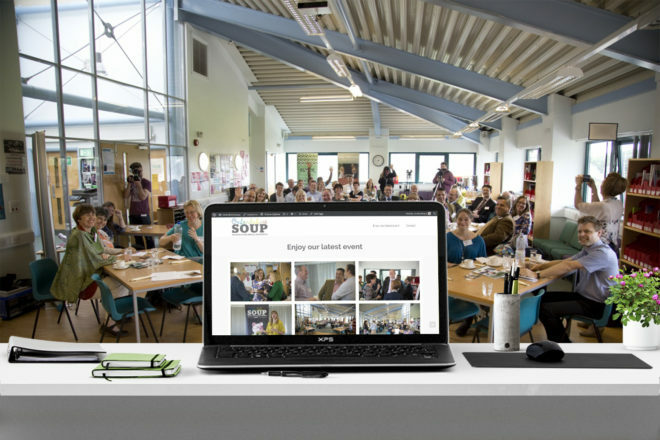 As well as delivering a unique support pathway for business enabling them to develop sustainable growth, Oxfordshire SOUP serves as a networking event with a purpose.